While your office style doesn’t need to change drastically from season to season, it does deserve a refresh now and again. Whether your collars and hems are starting to fray, or your lineup could use an infusion of color, spring is a great time to stock up on essential items. To make the process easier, we’ve compiled a list of key buys that are practical and also pack a style punch. Pick and choose or collect them all, then walk into work on the first Monday of spring— which is less than three weeks away!—with your head held high. Bonus points if you get yourself base tan or a fresh haircut between now and then. Nothing complements a killer business casual wardrobe like a grooming situation that would make Don Draper proud. 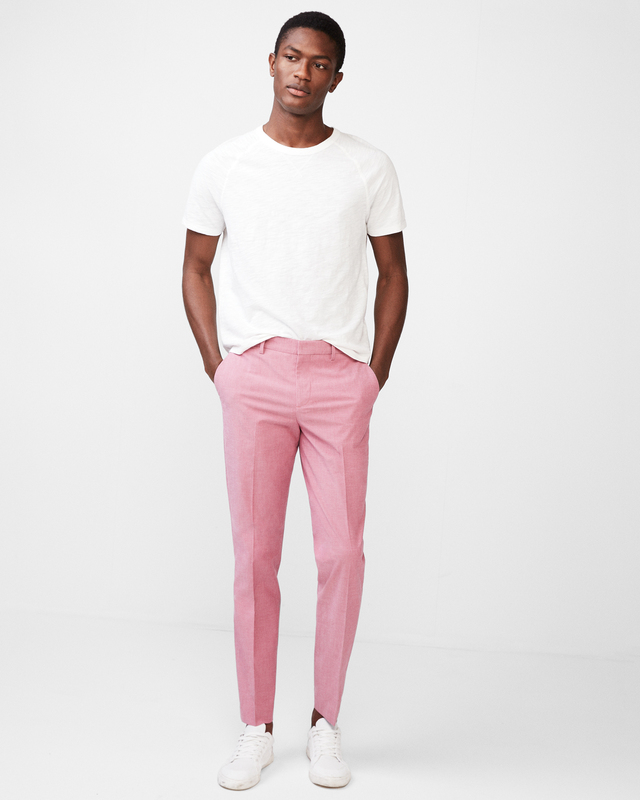 This slim-cut cotton pant has all the polish of your go-to work chino, with a little more look-at-me swagger. Wear with a white button-down shirt and fresh sneakers for a sporty-clean look, or amp up the summer vibe with a gingham shirt and suede loafers. On cold spring days, you need a sweater that gives you added warmth without taking you back to holiday-season style. 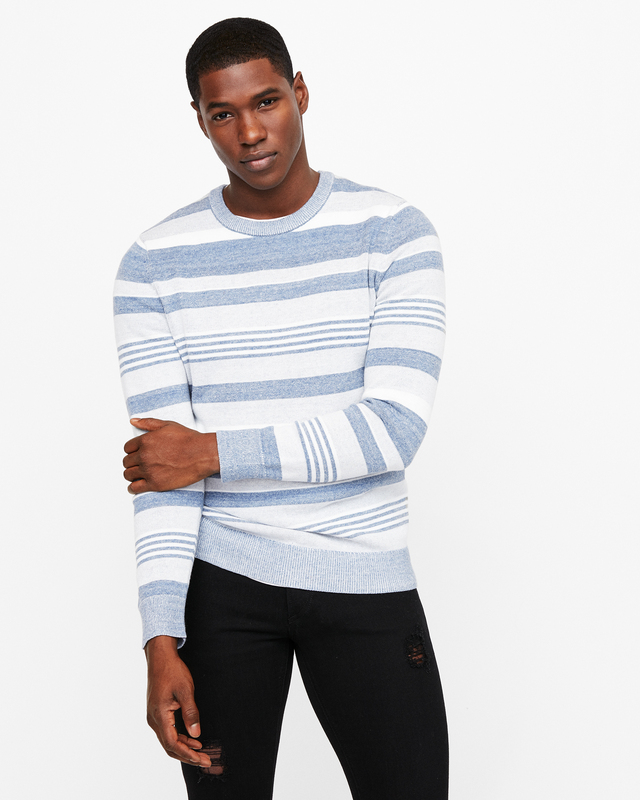 This blue and white striped crewneck is just the ticket. Wear it to work with slim navy pants and suede lace-ups, or try it under a blue suit for something a bit unexpected. 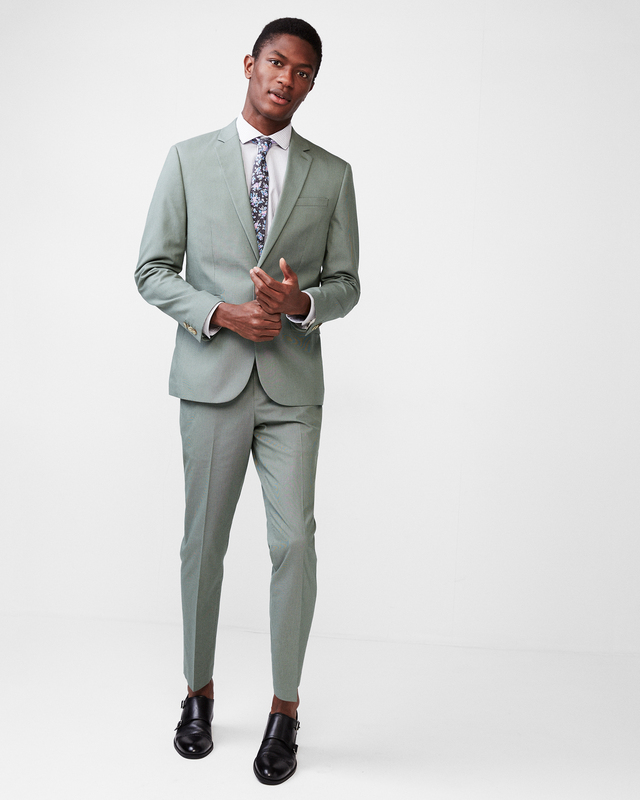 Speaking of suits, a new season is a great opportunity to add some extra-sharp tailoring to your wardrobe, and this season we’re loving soft olive green. The color makes a statement without coming on too strong, and looks killer with spring’s other pastel-leaning hues. The polo shirt is an important part of your warm-weather wardrobe, whether you’re on the links, the dock, or sitting at your desk. 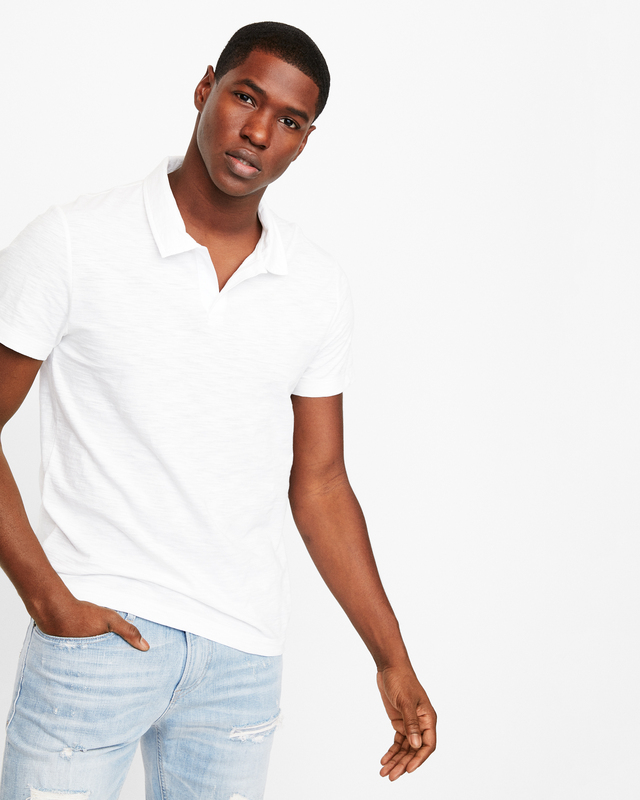 Opt for slim-cut knitted polos instead of the typical pique cotton, which will feel at home with your trousers and suits. A few new button-down shirts in fresh patterns and colors can do a lot for your office style. 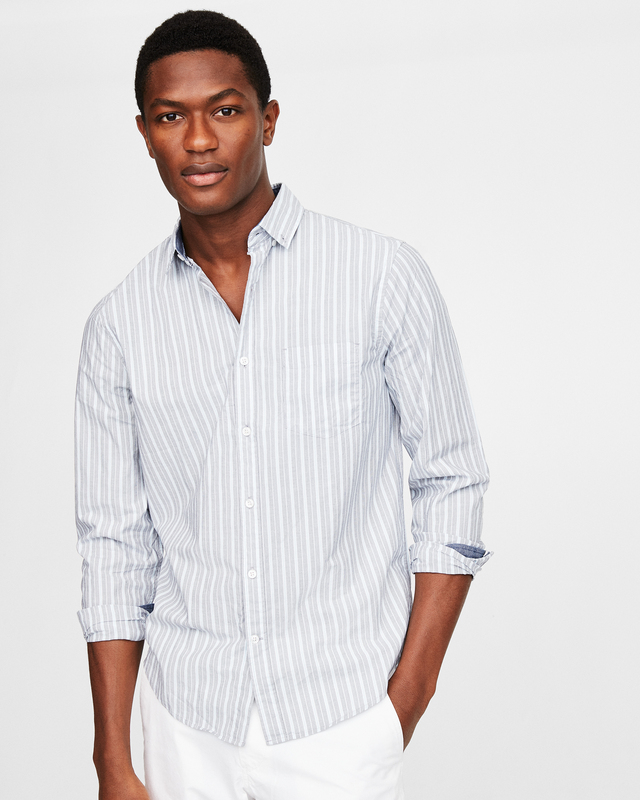 If your workplace is casual, try our soft-wash shirt in a striped pattern. Since the color contrast is light, you can basically treat it like a neutral. In 2018, there’s a good chance you can wear sneakers to work. That said, unless you work at a gym, basketball sneakers are not your best move. 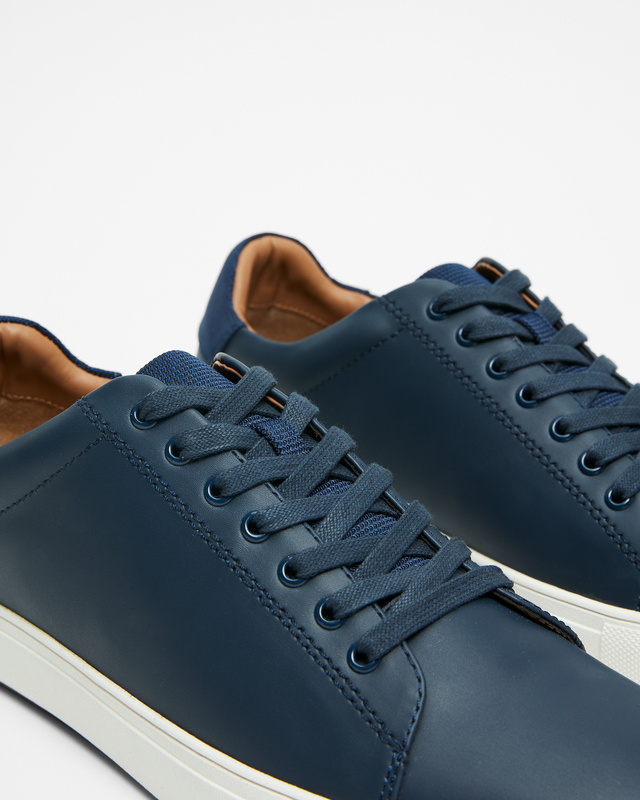 For a rubber-sole shoe that’s a little bit more marble-and-carpet friendly, try a solid-color tennis sneaker in nylon or leather. Who says your button-down shirt has to be so serious all the time? 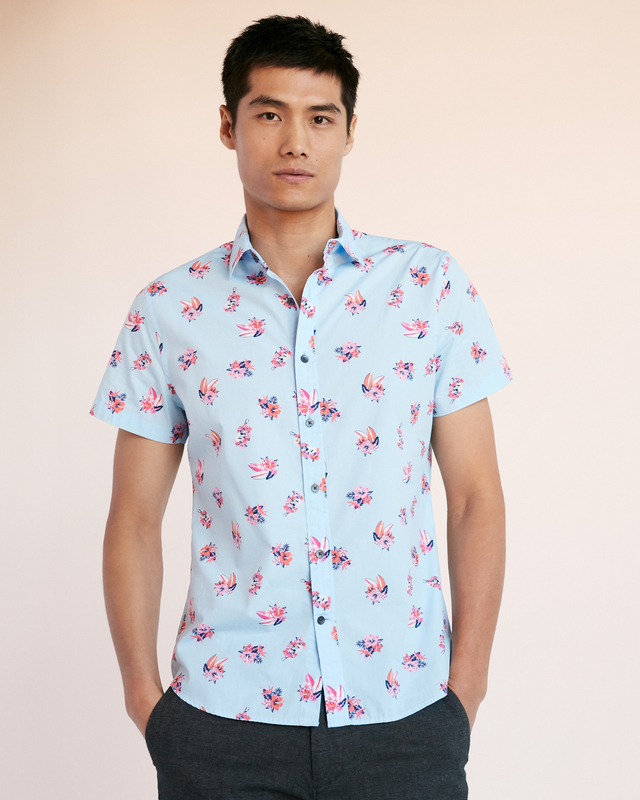 Amp up the fun without breaking the office dress code with a short-sleeve shirt done in a floral, gingham, or tropical print. Wear it under a suit when you’re on the clock, then with denim and canvas kicks on the weekend.